No Matter What the Groundhog Say's You Should Sell Before Spring! 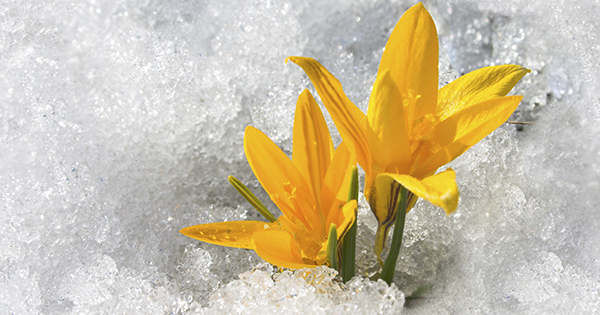 Is spring closer than we think? Depending on which Groundhog you witnessed today, you may have less time than you think to get your home on the market before the busy spring season. Many sellers feel that the spring is the best time to place their home on the market as buyer demand traditionally increases at that time of year. However, the next six weeks before spring hits also have their own advantages. Here are five reasons to sell now. Foot traffic refers to the number of people out actually physically looking at homes right now. The latest foot traffic numbers show that there are currently more prospective purchasers looking at homes than at any other time in the last 12 months, which includes last spring’s buyers’ market. These buyers are ready, willing and able to purchase… and are in the market right now! Housing supply just dropped to 4.4 months, which is under the 6 months’ supply that is needed for a normal housing market. This means, in many areas, there are not enough homes for sale to satisfy the number of buyers in that market. This is good news for home prices. However, additional inventory is about to come to market. There is a pent-up desire for many homeowners to move, as they were unable to sell over the last few years because of a negative equity situation. Homeowners are now seeing a return to positive equity as real estate values have increased over the last two years. Many of these homes will be coming to the market in the near future. Also, new construction of single-family homes is again beginning to increase. A recent study by Harris Poll revealed that 41% of buyers would prefer to buy a new home while only 21% prefer an existing home (38% had no preference). The choices buyers have will increase in the spring. Don’t wait until all this other inventory of homes comes to market before you sell. One of the biggest challenges of the housing market has been the length of time it takes from contract to closing. Banks are requiring more and more paperwork before approving a mortgage. There is less overall business done in the winter. Therefore, the process will be less onerous than it will be in the spring. Getting your house sold and closed before the spring delays begin will lend itself to a smoother transaction. If you are moving up to a larger, more expensive home, consider doing it now. Prices are projected to appreciate by over 23.5% from now to 2019. If you are moving to a higher priced home, it will wind-up costing you more in raw dollars (both in down payment and mortgage payment) if you wait. You can also lock-in your 30-year housing expense with an interest rate below 4% right now. Rates are projected to be a full point higher by the end of 2015. Only you know the answers to the questions above. You have the power to take back control of the situation by putting your home on the market. Perhaps, the time has come for you and your family to move on and start living the life you desire.